When you stay at the Chine Hotel, you won’t want to leave! With acres of garden to explore, an outdoor pool to float away in and comfy corners to relax in. Our ‘Spring into Summer’ offers let you stay a little longer with an extended check out time. Allowing you to lie in longer, do a couple more lengths of the pool or explore Bournemouth a bit more. Because no one likes rushing home after a relaxing holiday by the sea! Our two night ‘Spring into Summer’ offers start from as little as £139 per couple. Rates are per room based on two people sharing a standard twin/double room. *If dinner is included within the above packages it is for one night only and is to be taken on your first night. Full English breakfast can be pre-booked for £12pp. Children Bed & Breakfast charges: £15 (4-14yrs) or £5 (0-3yrs). £15 supplement for Friday or Saturday nights. 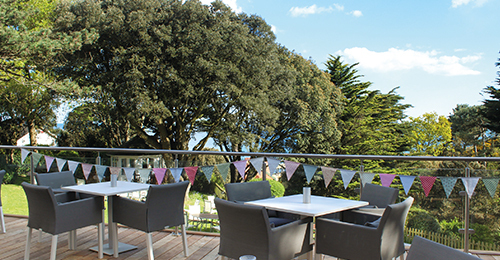 The Gallery Restaurant is an informal and family friendly place to eat, offering good food with glorious views through the trees and out to sea. Chefs prepare a daily changing menu that suits every palette and feature locally sourced ingredients. Only available as a pre-book option. 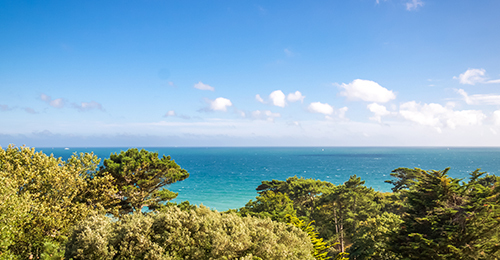 Why not wake up with a sea or garden view? With all the comforts of our Standard Rooms, but with the added benefit of stunning panoramics over the trees and on to the horizon. Sea and garden view rooms are all available for a small additional fee. 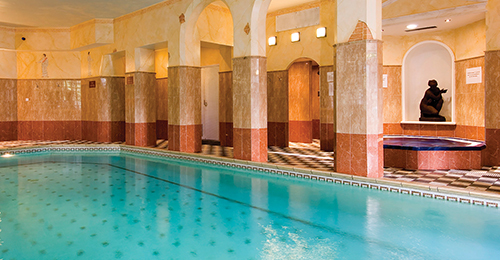 Guests can enjoy complimentary use of our fabulous leisure facilities, open daily between 8am and 8pm. During the Spring and Summer months, the Gallery Bar and Brasserie extends it’s seating out onto the decking and lawns for the ultimate in al fresco dining. 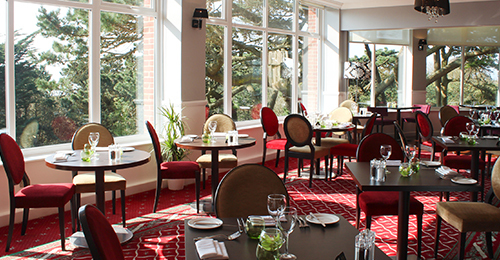 Choose from the Al Fresco menu offering lite bites, lunches and Afternoon Tea. Terms and Conditions: Based on 2 adults sharing a standard double/twin room, upgrades available at small fee. If dinner is included it will taken on the 1st night of stay. Excludes Bank Holidays and School Holidays. A £15pp supplement applies to Friday & Saturday nights. We’ll ask for the full payment at the time of booking. As with all pre-paid rates there are no refunds if you cancel. A £25 admin fee will be charged if dates are changed within 7 days of arrival. Cannot be used in conjunction with any other offer, discount, promotion and applies to new bookings only. Limited offer, when the hotel is 80% full the offer will be inactive. Rate is non-commissionable to Travel Agents. Standard charges apply for children. Subject to availability.